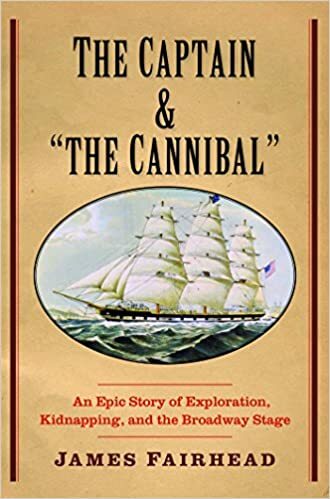 Sailing in uncharted waters of the Pacific in 1830, Captain Benjamin Morrell of Connecticut became the first outsider to encounter the inhabitants of a small island off New Guinea. The contact quickly turned violent, fatal cannons were fired, and Morrell abducted young Dako, a hostage so shocked by the white complexions of his kidnappers that he believed he had been captured by the dead. This gripping book unveils for the first time the strange odyssey the two men shared in ensuing years. The account is uniquely told, as much from the captive’s perspective as from the American’s. Upon returning to New York, Morrell exhibited Dako as a “cannibal” in wildly popular shows performed on Broadway and along the east coast. The proceeds helped fund a return voyage to the South Pacific—the captain hoping to establish trade with Dako’s assistance, and Dako seizing his chance to return home with the only person who knew where his island was. Supported by rich, newly found archives, this wide-ranging volume traces the voyage to its extraordinary ends and en route decrypts Morrell’s ambiguous character, the mythic qualities of Dako’s life, and the two men’s infusion into American literature—as Melville’s Queequeg, for example, and in Poe’s Pym. The encounters confound indigenous peoples and Americans alike as both puzzle over what it is to be truly human and alive.